Stainless steel pipe stiffeners. 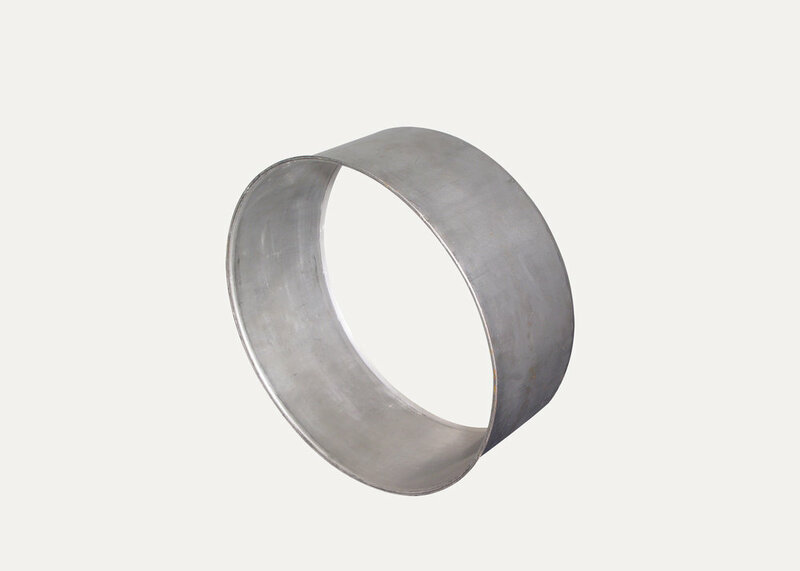 For use with Romac couplings and flanged couplings. 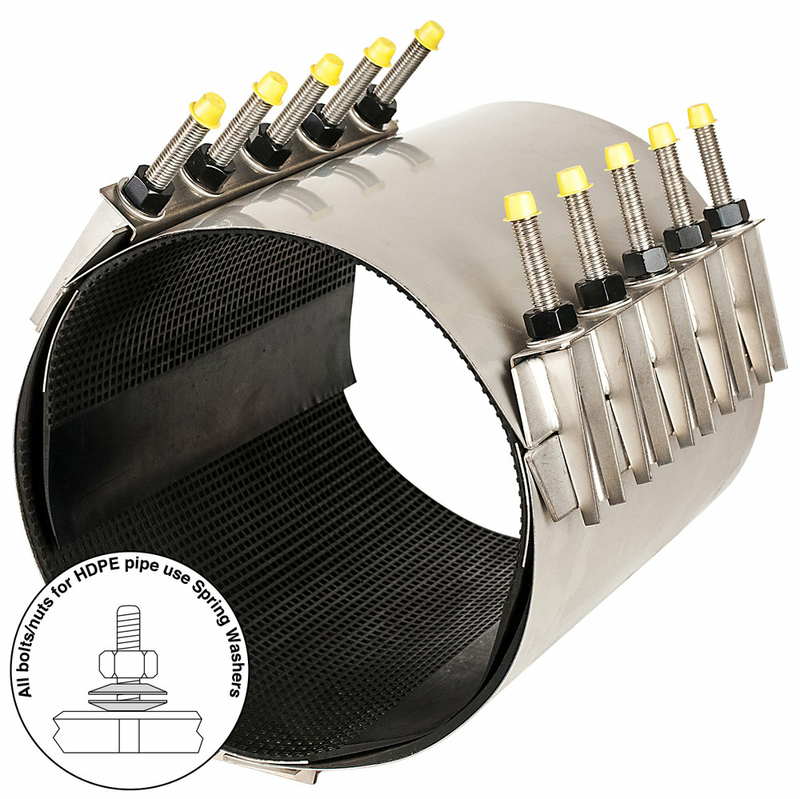 USE Romac's specially designed stiffening inserts provide circumferential inside support of HDPE pipe ends. 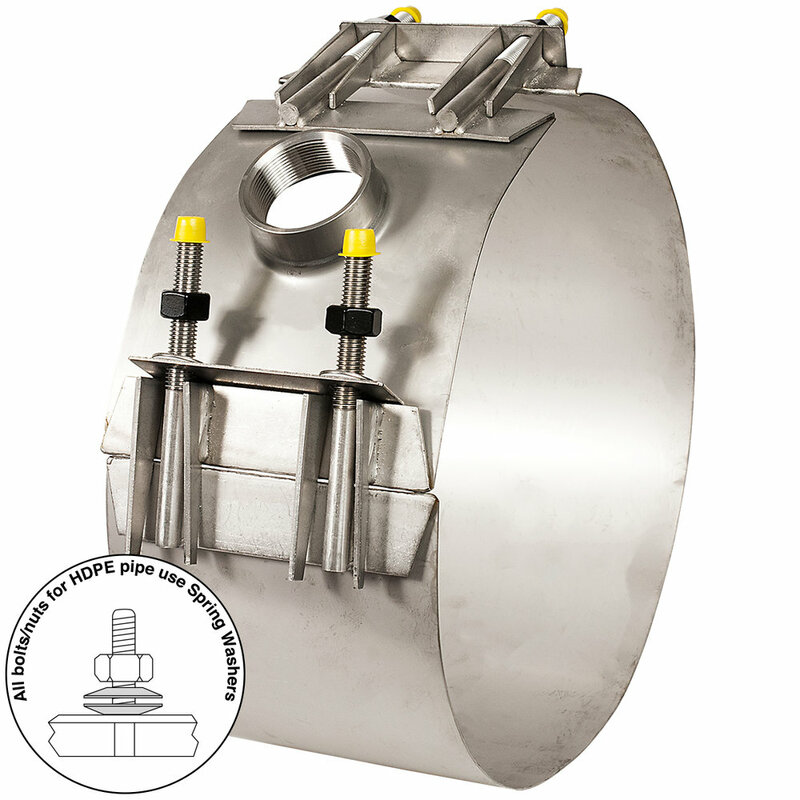 Constructed of stainless steel (per ASTM 240, type 304), the inserts reinforce the pipe without distrubing the flow characteristic of the medium. COMPATIBILITY For use on HDPE pipe. See catalog for details. INSTALLATION INSTRUCTIONS 4" - 12"
INSTALLATION INSTRUCTIONS 14" - 36"
BODY AND WEDGE 4" - 12" ASTM 240 type 304 stainless steel. BODY 14" - 36" ASTM 240 type 304 stainless steel. Type 316 stainless steel optional.